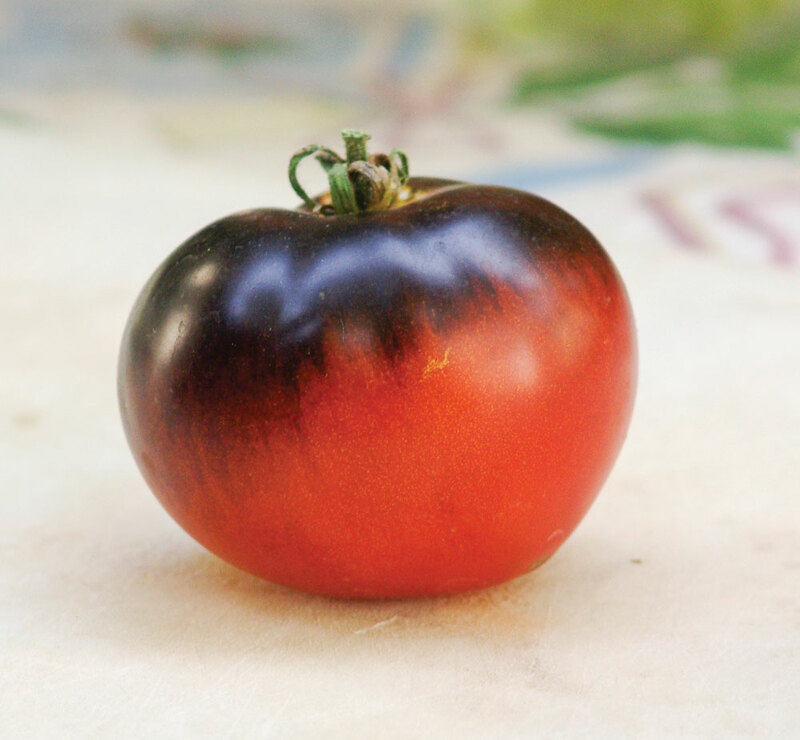 Not only a stunning color, purple shoulders with a red bottom, but the taste is exceptional. I’ve had two off my plant so far and it is consistently sweet and juicy. Generally, red tomatoes aren’t high on the top of my list for flavor but this one is very good. The plant isn’t a monster, in fact quite well behaved. It is about the size of a tennis ball, the inside is dark red, almost a smoky red and if you cut it on a white cutting board, the juice is purple. I will have this in my garden next year.